Microsoft Acquires GitHub in $7.5 Billion Deal, Could Monero Move to GitLab? 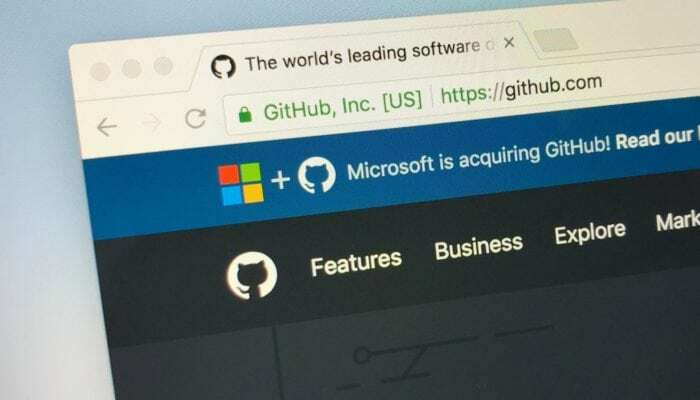 In a massive deal worth $7.5 billion, Microsoft has acquired GitHub, the code repository and open-source hub for developers. According to Twitter, the move has some coders worried and may pose problems for privacy-oriented cryptocurrencies like Monero, which utilize the platform. Microsoft is taking on a lot of responsibility in the acquisition, the company’s CEO, Satya Nadella, explained in blog post detailing the move. GitHub, the San Francisco-based company that allows developers to contribute and discover new code, is the go-to for coders across the globe. In fact, more than 28 million developers use GitHub as a repository. Microsoft wants this to continue, with plans to allow developers to collaborate on and deploy their code to the cloud, Nadella wrote. Nadella added that GitHub will remain open and will operate independently, although not everyone is convinced. Nat Friedman, co-founder of mobile-app development startup Xamarin – acquired by Microsoft in 2016 – will lead the business as CEO. GitHub co-founder Chris Wanstrath is staying with Microsoft as a technical fellow focused on currently unnamed strategic software initiatives. Despite the reassurance from Nadella, since the deal was announced reports from tech blogs indicate that another code repository, GitLab, GitHub’s biggest competitor, has seen spikes in the use of its platform. Monero (XMR) is a cryptocurrency that’s designed to be anonymous. With Monero, users don’t have to trust third-parties to keep their funds safe. Unlike some leading cryptocurrencies, the Monero blockchain obfuscates all receiving and sending addresses, and transaction amounts to provide additional privacy to its users. This way, no one can link the Monero blockchain to a particular user or make a real-world identity match. This, and the fact that the coin can be mined at home without the need for specialized mining rigs, makes the coin increasingly popular. According to CoinMarketCap.com, Monero currently has a market capitalization of almost $2.7 billion.